The governor, who reacted to reports that two governors, one from the South-west and another from the South-south had been placed on travel restriction on President Buhari’s order, in a press conference addressed by his Special Assistant on Public Communications and New Media, Lere Olayinka, said: whenever he wished to travel out of Nigeria, he will do so in the full glare of the public. Olayinka, who was flanked by the Chief Press Secretary to the Governor, Mr. Idowu Adelusi, said: “Few days ago, when Governor Fayose was reliably informed that President Buhari had directed that he should be banned from traveling outside Nigeria, he simply took the information as mere rumour, concluding that disrespect for the constitution of Nigeria and Buhari’s dictatorship would not be extended to the most ridiculous level of preventing a governor elected just as the president from traveling out of the country. “Fayose’s thought was that even though the Buhari’s presidency was capable of even attempting to prevent those opposed to the president from breathing the air, it must still be sane enough to be conscious of the consequences of placing any Nigerian under travel ban without an order of the court, not to talk of a sitting governor who enjoys constitutional immunity like the president. “However, when we read the story titled: ‘Two governors under watch, face travel ban’ published on Sunday by two major national dailies, we have no other option than to once again alert the public on President Buhari’s new dictatorial plot to infringe on the constitutional rights of Fayose just because of his critical position on the president’s dictatorial tendencies. “The question is; if Fayose has become a threat to the security of Nigeria just because he criticises President Buhari and says the truth about his mis-governance of the country, is this not a confirmation that the president hates dissenting views? “Therefore, the president cannot lord himself over any state governor and President Buhari and his agents should accept this basic reality and stop behaving as if they own Nigeria in totality. “Even ordinary Nigerians do not require clearance from the DSS or any security agency to travel outside Nigeria unless travel restriction is placed by an order of the court, let alone state governors who enjoy immunity just like the president and are not under the control of the president. “The president and his agents should know that this is not 1984 when he, as a military dictator, prevented the late Chief Obafemi Awolowo from travelling outside Nigeria for medical treatment, thereby leading to his (Awolowo) untimely death in 1987! “They should also be reminded that the same way Buhari humiliated the late Ooni of Ife, Oba Okunade Sijuwade; late Emir of Kano Alhaji Ado Bayero and late Obi of Onitsha, Ofala Akulalia Alphonsus Ogugua, in 1984 by seizing their passports and restricting them to their palaces just because they travelled to Israel for business, he cannot restrict state governors from travelling outside Nigeria under whatever guise. 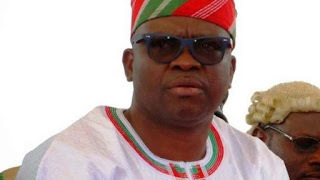 “Anytime Fayose wishes to travel out Nigeria, he will do so in the full glare of the public and we await how he will be prevented from exercising his rights as enshrined in the 1999 Constitution (as amended) as well as the Universal Declaration of Human Rights and the African Charter on Human and Peoples’ Rights.